Every parent knows the joys of having a newborn in the home. As he or she grows, the baby will meet many milestones such as holding their heads up, holding a bottle on their own or taking their first steps. One of the few negative milestones that newborns reach is between five to seven months when baby teeth start coming in for the first time. This time can be stressful for both the baby and the parents because the newborn is in pain and the parents are suffering from a lack of sleep. Thankfully, there are things that can be done to prepare for baby teeth and make life easier for the entire family. To help the teething process go by smoothly, parents can do several things before the teeth ever come in. First, parents should begin a lifelong habit of good oral hygiene for a baby by massaging and cleaning their gums as soon as they are born. According to Michael Hanna, DDS, a spokesman for the American Academy of Pediatric Dentistry, cleaning your baby’s gums prepares them for having things in their mouths as well as establishing a good habit of cleanliness and hygiene. Finally, the pressure of cleaning from above the gums counters the pressure of the teeth coming in from below. Every baby is a little different. Remedies that work for one baby won’t work for another. Some parents have found that cold, mushy foods help soothe the baby while others have found putting the pacifier into the fridge before giving it to your baby helps them suckle and soothe their mouths. Another suggestion that seems to work is feeding the baby popsicles so that they can numb their mouths while suckling all at the same time. One remedy that dentists do not recommend is hard toys. Hard, plastic biting surfaces like toys can damage the baby’s teeth or gums. Instead, you can offer them a chilled rubber or soft plastic teething ring. 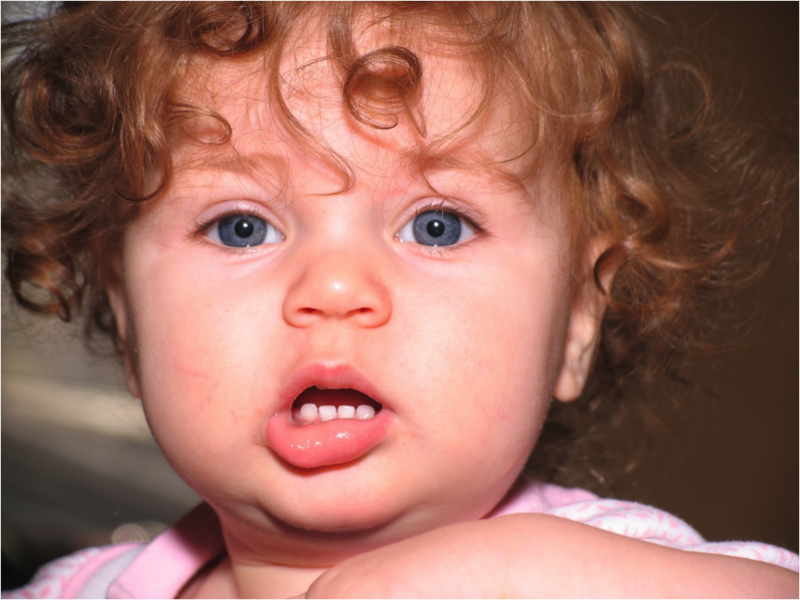 The teething process, while painful for the baby, can be very stressful for parents. Just after establishing a better sleep pattern four or five months in, incoming teeth can ruin any full night of sleep a baby might have had. Fortunately, there are remedies for sleep that can help your baby during this difficult time such as infant Tylenol or topical treatments. One thing dentists do not recommend is a thimble full of whiskey. Save those antiquated remedies for the past. With the tips described above, as well as a healthy dose of patience, teething doesn’t have to be a nightmare for the baby or the parents. With solid preparation and good habits, everyone can enjoy baby’s first teeth and the march towards solid food. And when you are ready, contact us for their first dental appointment!